Also known as Haolewood, Princeville is a resort community outside of Kauai. From manicured landscaping to meticulously kept golf courses, it’s no wonder this city has often been used as the set for movies. Princeville may not be the most authentically Hawaiian — you’re not likely to find many locals strolling around — but it has many lovely beaches, and is conveniently accessible to Kauai. Without a doubt, the best thing to do in Princeville is go to the beach. 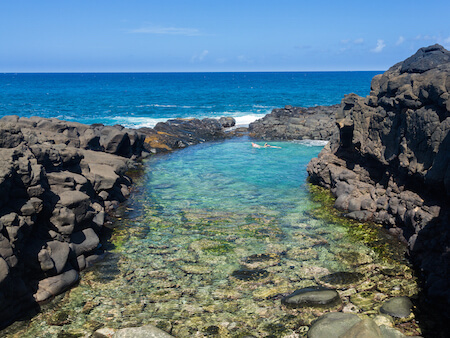 From cozy coves such as Pali Ke Kua (Hideaways) Beach and Honu Cove, to Pu’u Poa Beach and Queen’s Bath, you’re sure to find a beach that suits you and your group’s needs. Located nearby is also the Hanalei Valley Lookout. As a part of the Hanalei National Wildlife Refuge, this farmland that has been cultivated and growing taro for more than 1000 years. Parking is located just opposite the Princeville Center. Prepare yourself for incredible views of the valley and river. Another thing to do in Princeville? Eat! If you’re in the mood for local cuisine, Kaua’i Grill and Nanea are two of the best spots around. If you’re looking for a break from Hawaiian food, North Shore General Store & Cafe will fulfill all your American cravings, and Federico’s FreshMex Cuisine serves delicious Mexican food. While in Princeville, you can also explore nearby waterfalls, caves, and go on other wildlife adventures. It’s a wonderful place to unwind and relax away from the hustle and bustle of the island’s bigger cities. Our drivers know how to get you to and from the resort community safely, comfortable, and quickly. Reserve your transportation to and from the airport today! Heading to resort or destination wedding in Princeville, SpeediShuttle can help. Popular resorts and wedding venues include The Westin Princeville Ocean Resort Villas, Hanalei Bay Resort, and the Princeville Resort Kauai. 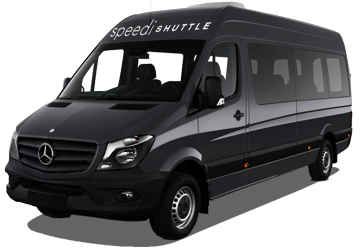 Reserve airport/hotel shuttles to Princeville and wedding shuttles with SpeediShuttle. 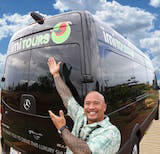 We offer airport/resort transportation from Lihue to Princeville, private charters, and guided tours. If you're planning a vacation to Princeville, book your Lihue Airport (LIH) Shuttle to Princeville or a Kauai Tour with SpeediShuttle.